There are certain words that are music to every fashion girl's ears. For us editors, shoes, fall, and SALE make for one sartorially sweet melody. With that in mind, we’ve rounded up the chicest fall shoes that are now on sale at Nordstrom. Ding, ding, ding! Nordstrom’s major Anniversary Sale runs until August 6, at which point fall items will then return to full price. So whether you’re looking for cool sneakers or sleek ankle boots, scoop up these summer-to-fall favorites before they sell out. Scroll through to shop our must-have picks. 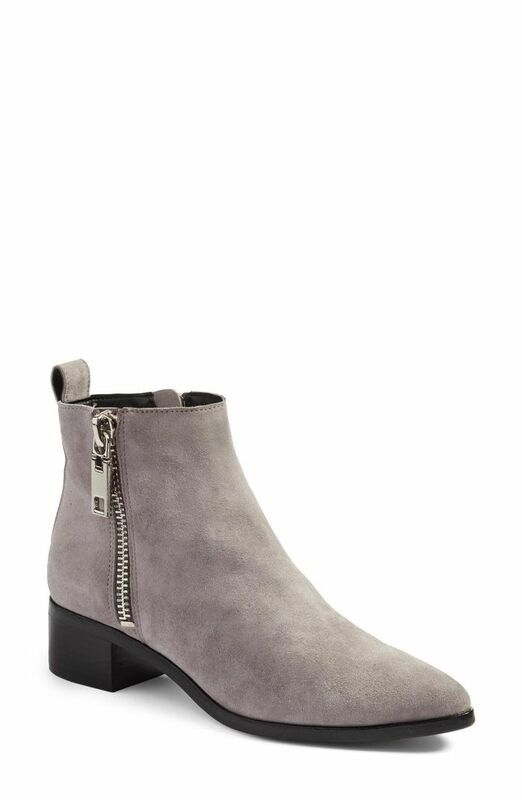 When it comes to transitional footwear, neutral ankle boots reign supreme. If you don’t have a pair of backless loafers in your closet yet, this ultra-chic pair is what you’ve been waiting for. How can we say no to fashion-girl favorite Stuart Weitzman? Pair them with jeans, shorts, dresses, and basically your whole wardrobe. Because nothing beats classic white sneakers. These flats will take you from work to weekend in seamless style. Wear these versatile booties with fall’s must-have indigo jeans. We already love the comfort of slip-on sneakers, but when it comes in luxe satin? We become obsessed. These back-to-work loafers exude serious sophistication. This modern silhouette works with jeans for dinner and cropped pants for work. Plus, how cute is the color? Up next, these celeb-approved shoes are selling like crazy.